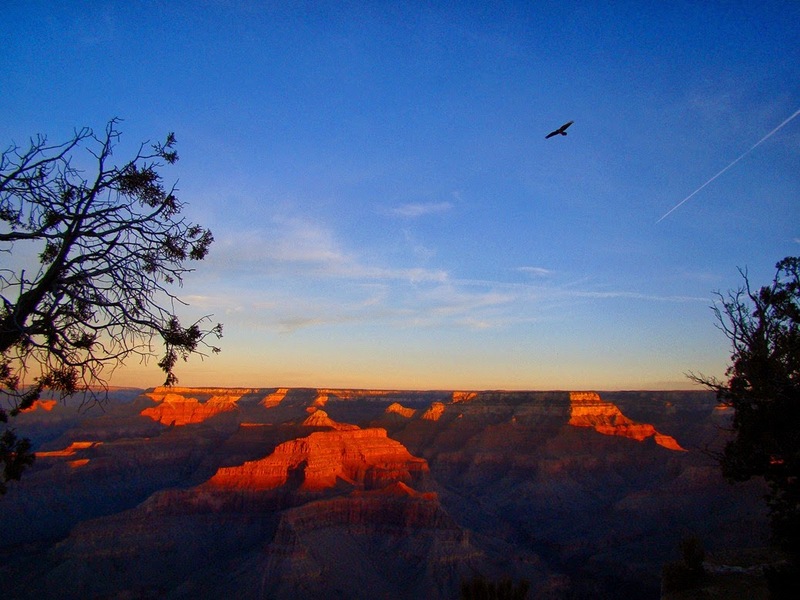 Grand Canyon, Quite Early Morning, and a Happy New Year! I was just now looking at the definition of 'twilight', which refers to the diffuse light in the sky between the setting of the sun and total darkness. The term can be related to both dawn and dusk, but the secondary meaning of twilight most certainly symbolizes evening...the loss of light and clarity, and coming darkness. 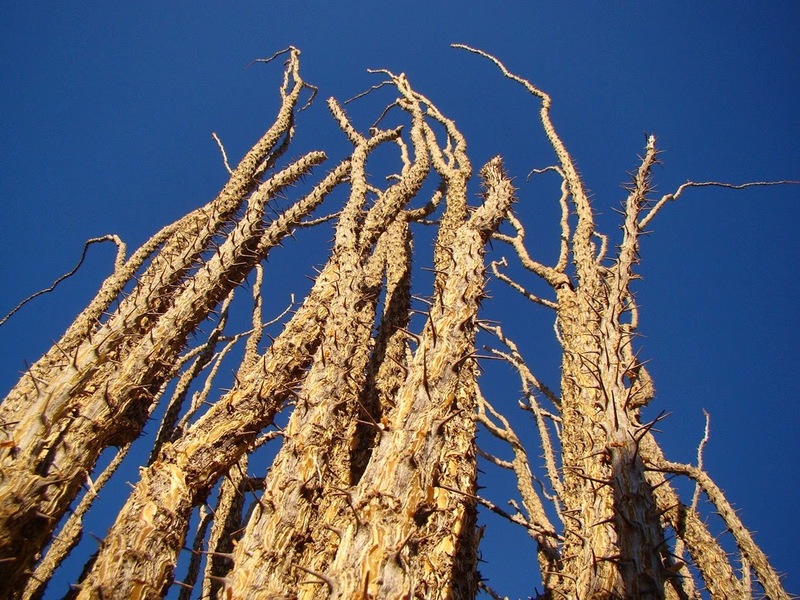 What does it mean, for instance, when someone is in the twilight of their life? Morning is something else entirely. It symbolizes renewal and birth and life. 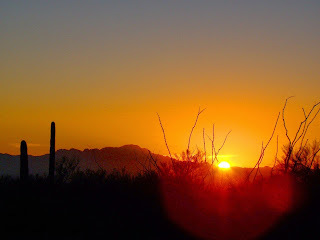 Out of darkness comes light, and deeper understanding. Standing on the rim of Grand Canyon canyon, we could only make out shapes on the horizon. There was depth below us, but the outlines were hazy. But what makes them so doggone sure? 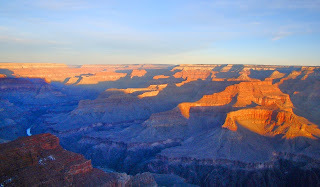 The sun rises higher, illuminating more and more of the canyon. 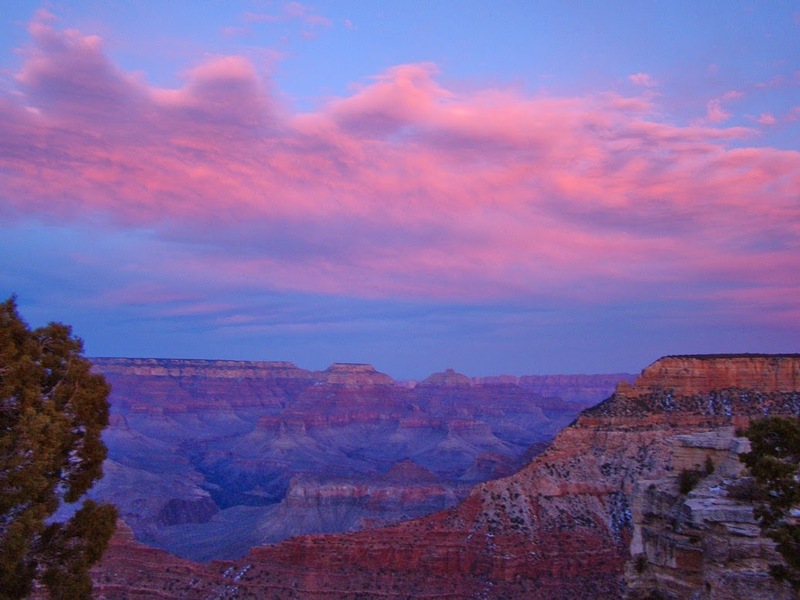 Instead of fuzzy grayness, the canyon becomes an intricate maze of ridges and recesses, each with its own story and drama. 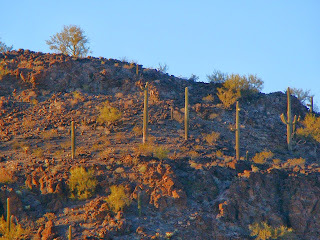 Each layer has a unique history that now has become visible in the rising light. So the new year is here, a date that was set to represent rebirth, a new dawning, the do-over time when we make resolutions to better ourselves. I like the sense of hope that comes with times like this. I have hope for those who are hungry, sick, unemployed, and all of those who are the victims of a society that at times has elevated greed to a virtue. 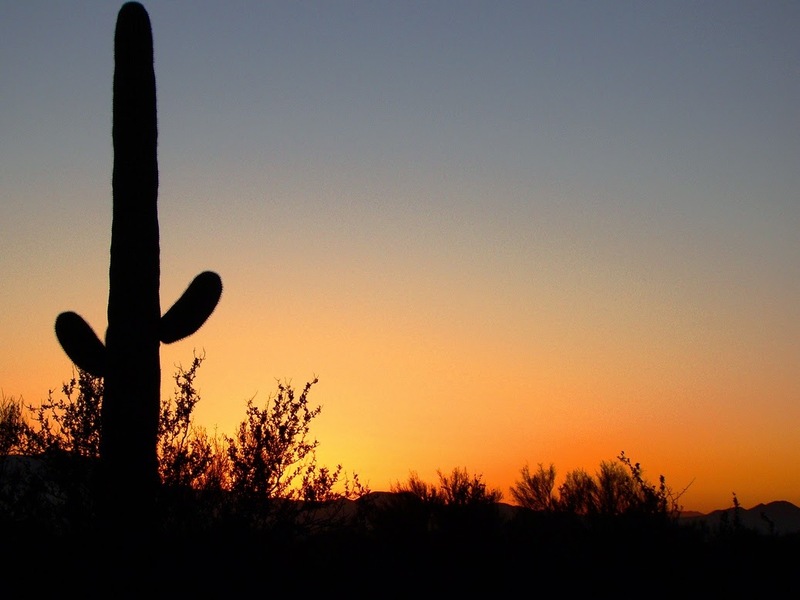 I hope for a continued reawakening of caring for our community in hard times. I have hope that all of you will find happiness in this new year. (c) 1969 by Fall River Music Inc.
Mostly a day on the highway, making the 400 mile long drive from Tucson to the Grand Canyon. Didn't stop for photos at all, really, except for the moment we crossed a snow covered meadow at the base of the San Francisco Peaks, Arizona's active volcanic field (the last eruption was only 900 or so years ago at Sunset Crater). 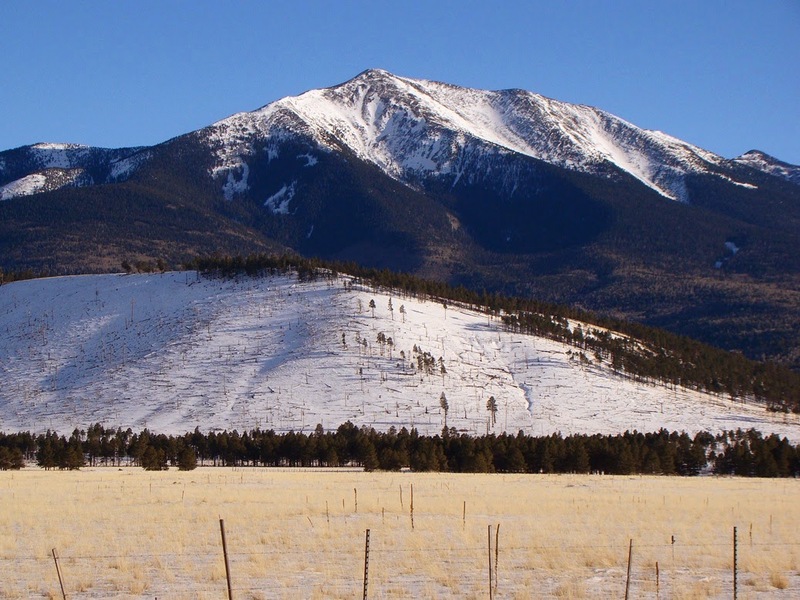 The peaks reach nearly 13,000 feet, and Humphreys Peak is the highest point in Arizona. They once stood much higher. The stratovolcano lost its summit during a major eruption/avalanche similar to Mt. St. Helens, or from the much slower process of glacial erosion. 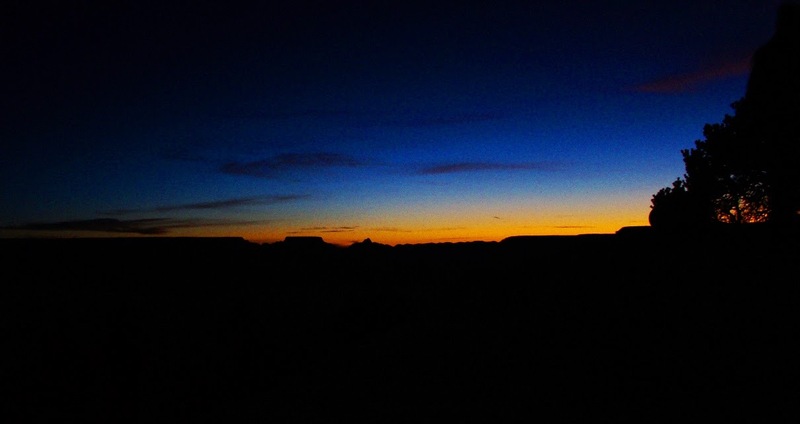 We arrived in Grand Canyon in the last moments of a beautiful sunset. The canyon was already falling into shadow, but the sky was on fire all around us. Getting some rest tonight, and looking forward to some sightseeing tomorrow! Had a few spare moments from family matters while in Tucson, Arizona today, so we headed out to Saguaro National Park and Tucson Mountain Park, which are both on the outskirts of the city. 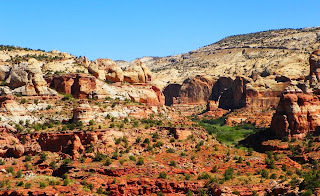 I'm not overly familiar with the area's geology, so it was a real learning experience. I really wish I had more time here! 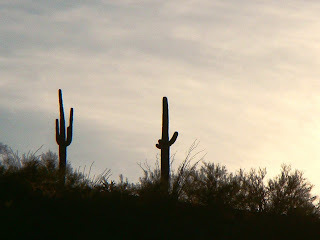 The Saguaro cacti kept getting in the way of the shots of the rocks, too, but I guess they provide some sense of proportion. The mountain ridges in the Rincon District of Saguaro National Park looked vaguely familiar to me, forming a roughly domal shape. 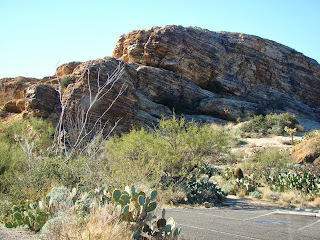 The younger overlying rocks actually ended up on the other side of the Tucson valley. 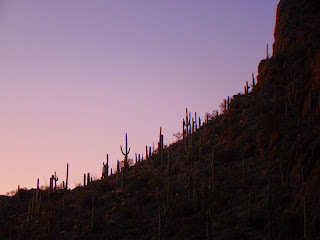 They make up the rocks exposed in Tucson Mountain Park, which we visited briefly while looking for a place to watch the sunset. 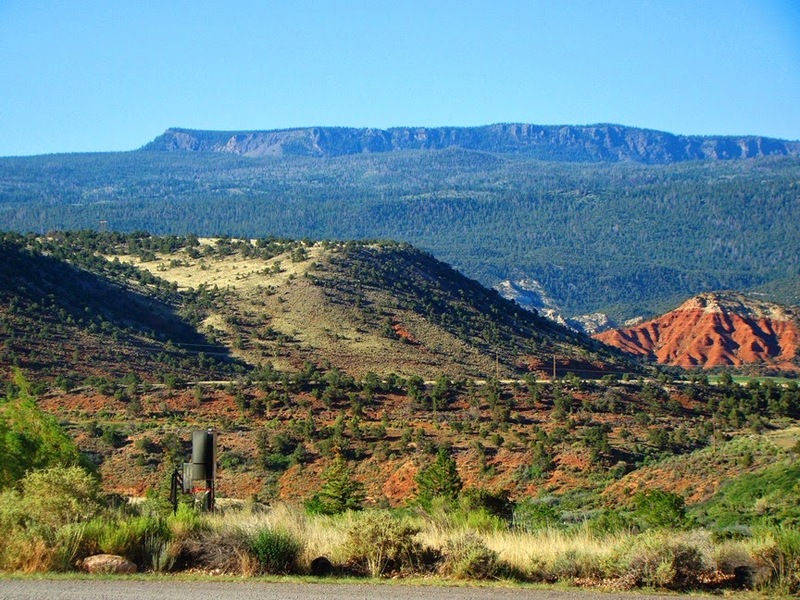 Much of the rock is volcanic rhyolite, formed during intense caldera eruptions similar to those that produced Yellowstone and Long Valley (in California). 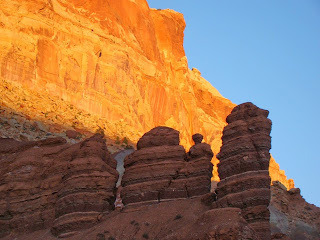 The sharply jointed rocks form prominent peaks that do a nice job of catching the last rays of the sun. 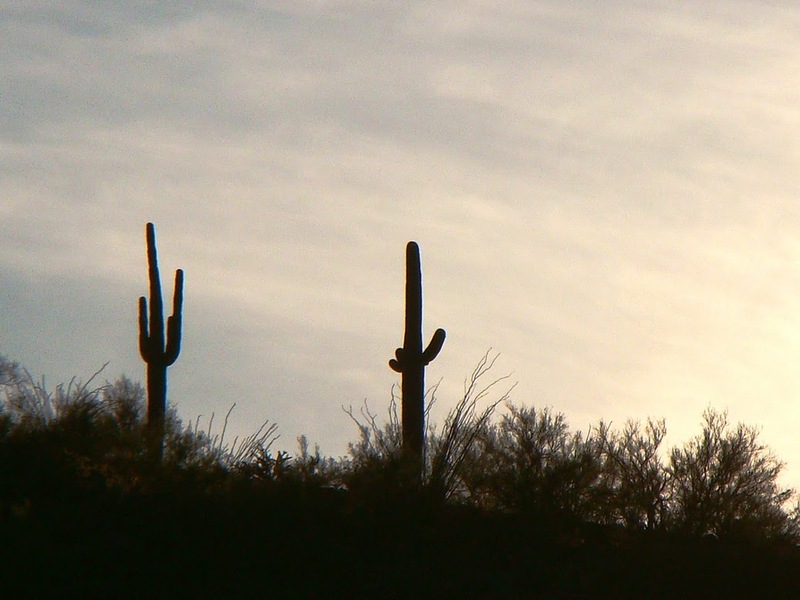 The Saguaros always provide a nice frame for pictures of the sky and horizon...almost a cliche that you've seen a thousand times in calendars, but there is nothing like being there. 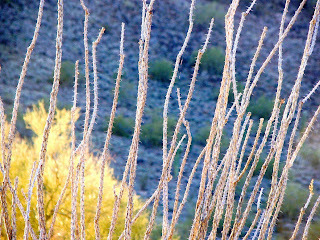 I couldn't stop snapping pictures, and if I didn't have a camera, I would have sketched. And if I didn't have a sketch pad, I would have scratched images on the rock, much as the original inhabitants of this country did thousands of years ago. It's that pretty. 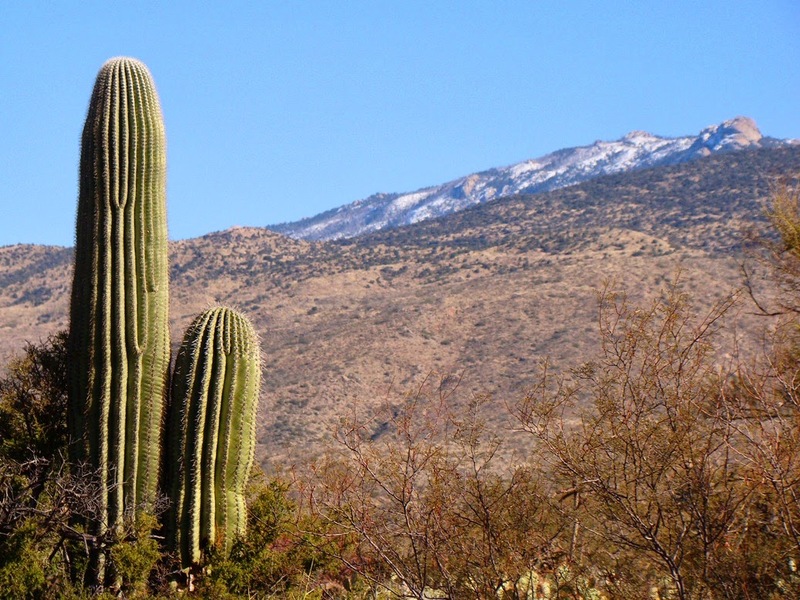 For some information on the geology of Saguaro National Park and the adjacent Tucson Mountain Park, check out this pdf file. 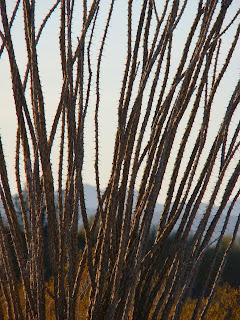 Dispatches from the Road: An Octet of Ocotillo (and other Desert Denizens). 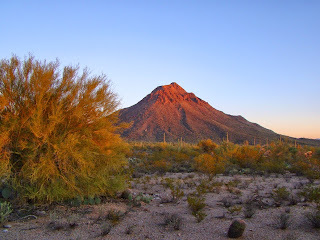 Traveling from here to there; sought a way to Tuscon without having to go through Phoenix and found Highway 85 to Interstate 8, a route that took us right through one of our nation's youngest national monuments, Sonoran Desert National Monument. The park, administered by the Bureau of Land Management, has not been developed to any degree, and a large portion is designated wilderness. 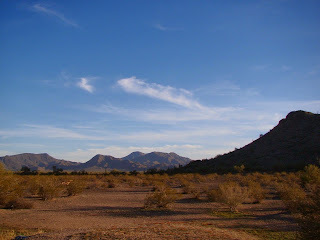 There is a nicely situated picnic stop on Interstate 8 a few miles east of Gila Bend, and we stopped for a look. 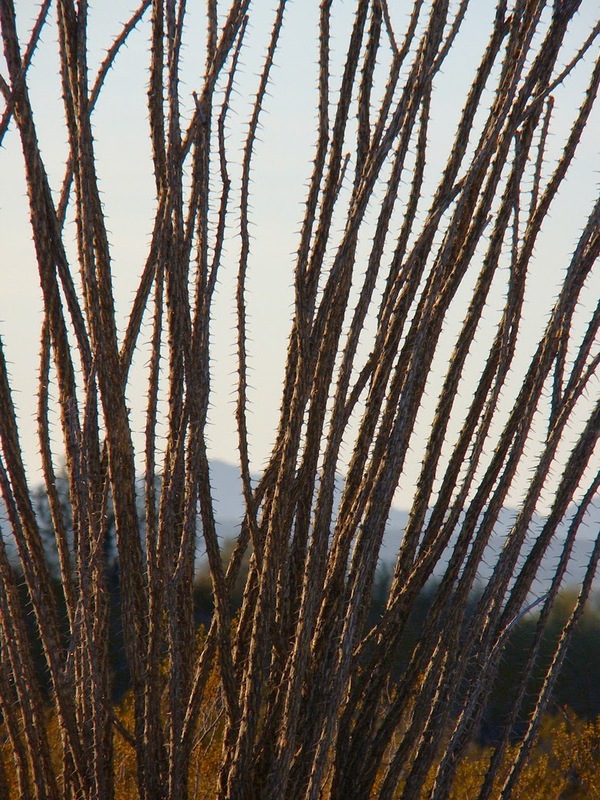 Ocotillo is one of the characteristic plants of the Sonoran Desert (sometimes called the "Low Desert"). In spring it comes alive with beautiful red flowers, but in summer and fall it simply exists. 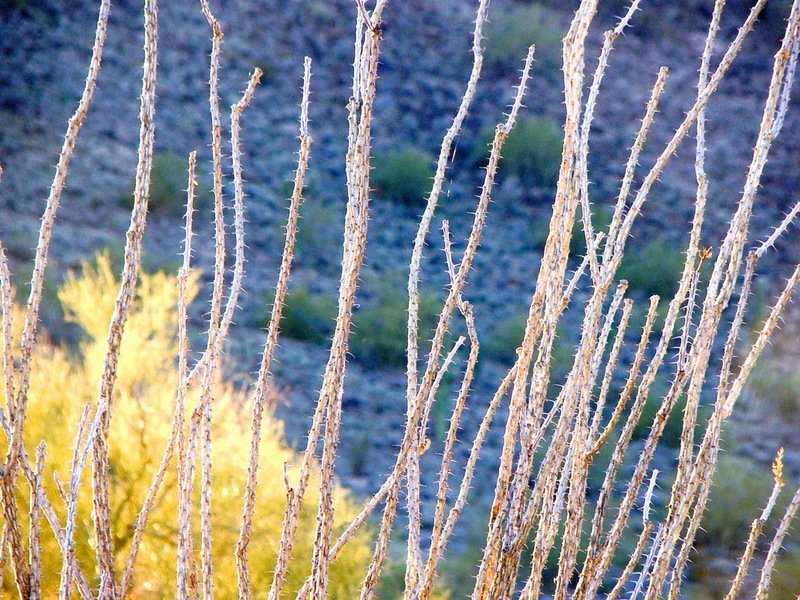 The photosynthesis occurs mostly in the branches rather than in leaves. 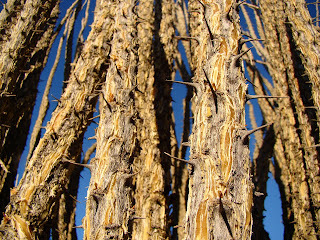 The swirling chaotic patterns of the stalks is irresistible to photographers (and also me). 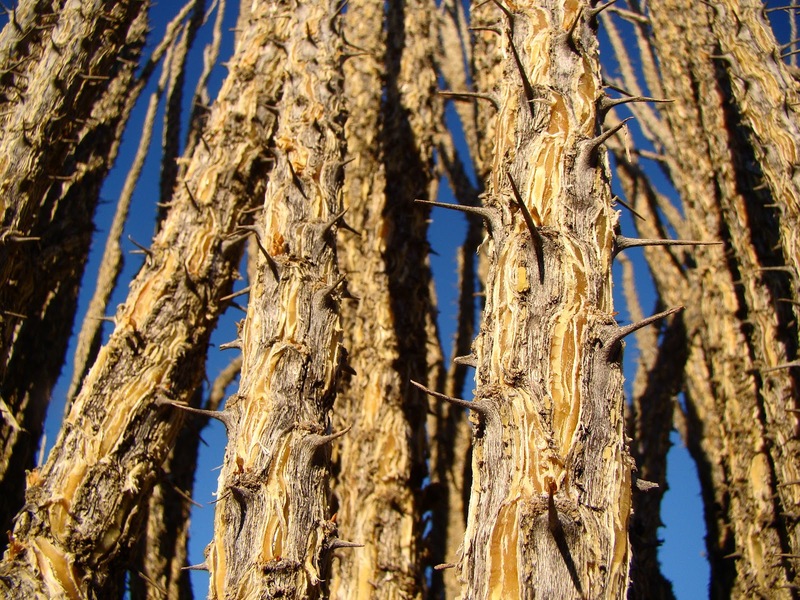 The other more famous desert plant is the Saguaro cactus. They are not in thick forests along the highway the way they are in nearby Saguaro National Park, but their distinctive shapes seem to be on every ridge. The monument preserves three mountain ranges. It is amazing how untouched they look, given their proximity midway between Phoenix and Tucson. The sun was getting low, and we still had a few miles to go. 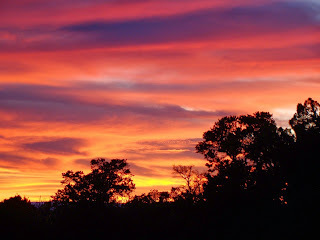 A long day, but a beautiful finish! Merry Christmas and Happy Holidays to all! 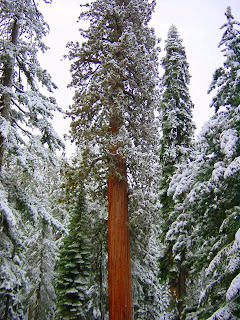 To celebrate, I offer up a very big Christmas tree, the General Grant Tree in Kings Canyon National Park. The tree is so large (268 feet high, 40 feet across at the base) that it took three pictures to capture it. 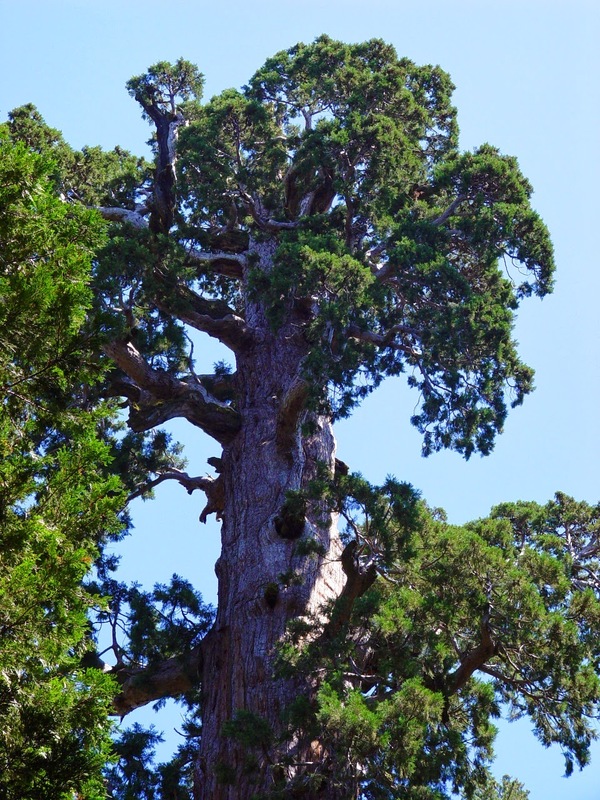 The tree was declared by Calvin Coolidge in 1926 to be the nation's Christmas Tree. 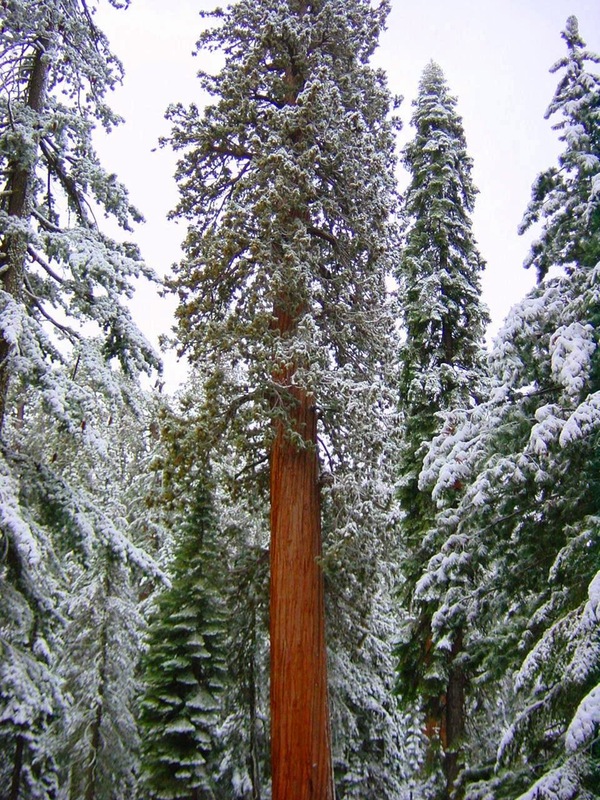 At an early ceremony, park superintendent Colonel John White said ""We are gathered here around a tree that is worthy of representing the spirit of America on Christmas Day. That spirit is best expressed in the plain things of life, the love of the family circle, the simple life of the out-of-doors. 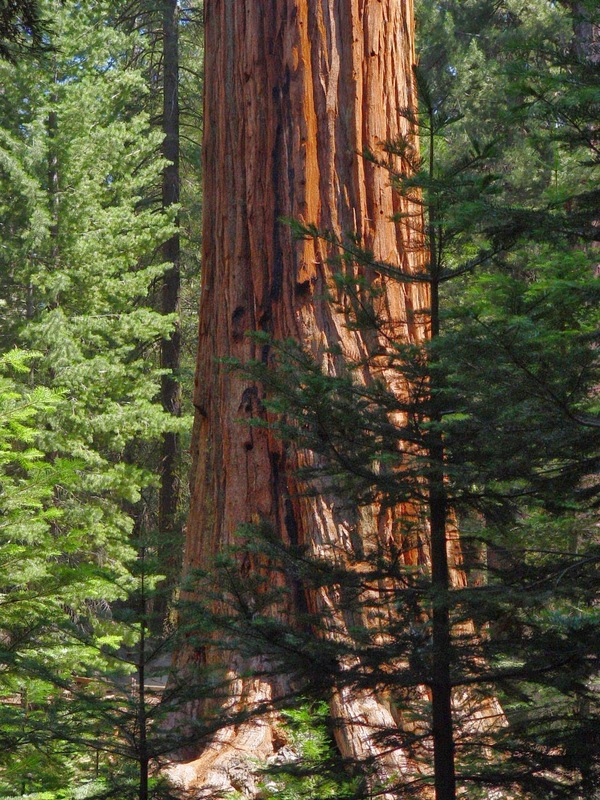 The tree is a pillar that is a testimony that things of the spirit transcend those of the flesh." I hope that you all have a wonderful and safe holiday. I'll be on the road, so blogging will be sporadic for a while. We woke up in the morning to a beautiful view of Boulder Mountain. 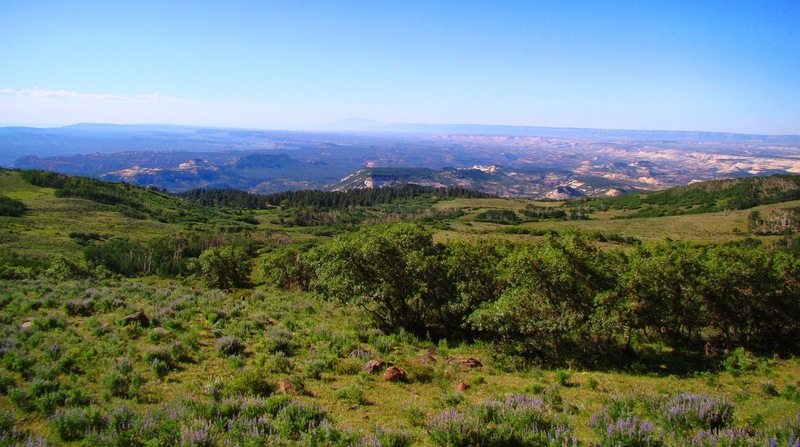 The massive high plateau, topping out at over 11,000 feet, is said to be the highest timbered plateau in North America (I wonder if the people near Grand Mesa in Colorado would argue the point). 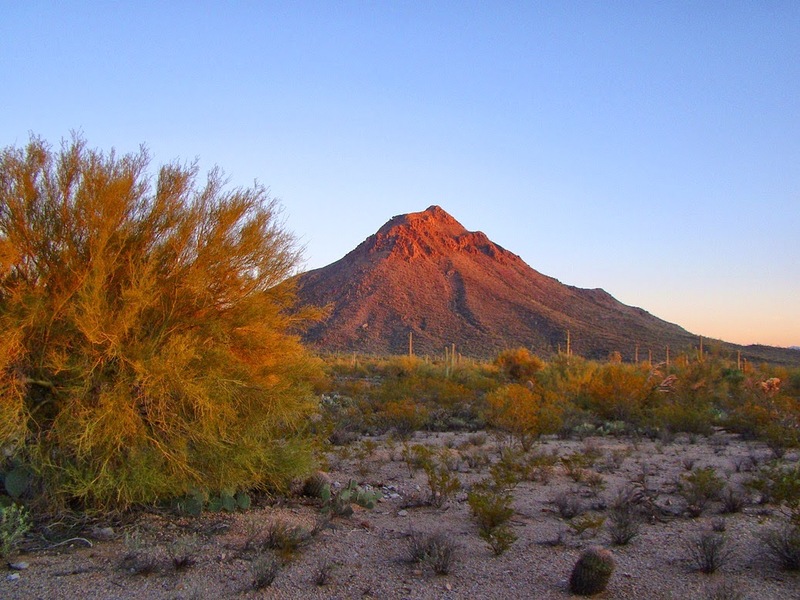 The mountain is capped by thick basalt flows and was extensively glaciated during the ice ages. Black boulders litter the surrounding countryside where melt-swollen rivers dropped them. It was really a choice of whether we wanted to rush home, or take a route that would gain us access to one more national monument and two more national parks. For us, a no-brainer. We were out there, we had no appointments back home, and we were still having fun. 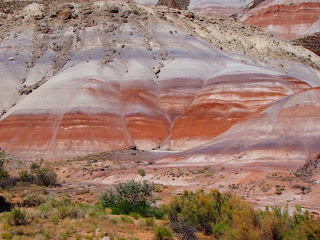 We drove south on Utah 12, over the high flanks of Boulder Mountain. 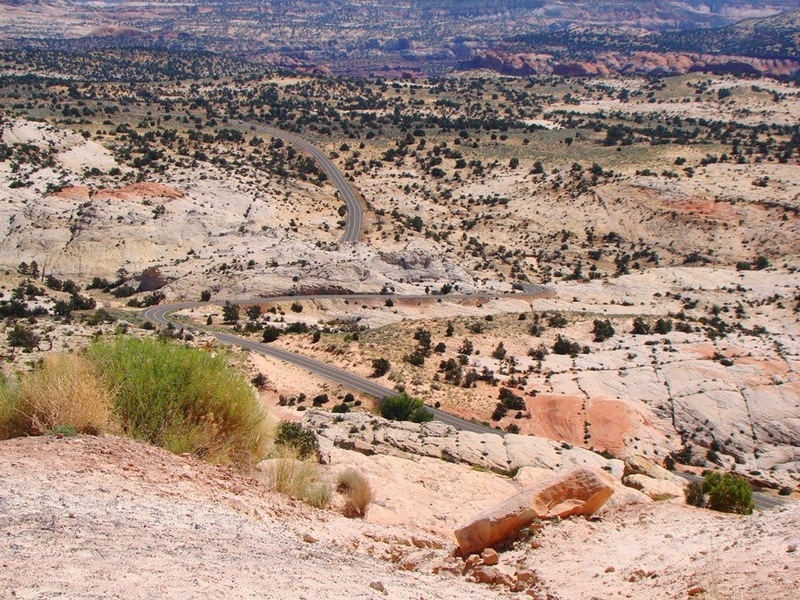 The road climbed quickly to 9,000 feet, offering some pretty impressive views into the Capitol Reef country and the Henry Mountains. 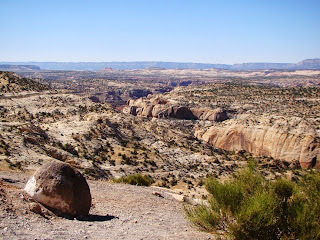 We climbed a second long ridge, and a wide-ranging view opened up to the south, into one of our nation's newer national monuments, Grand Staircase-Escalante (established in 1996). 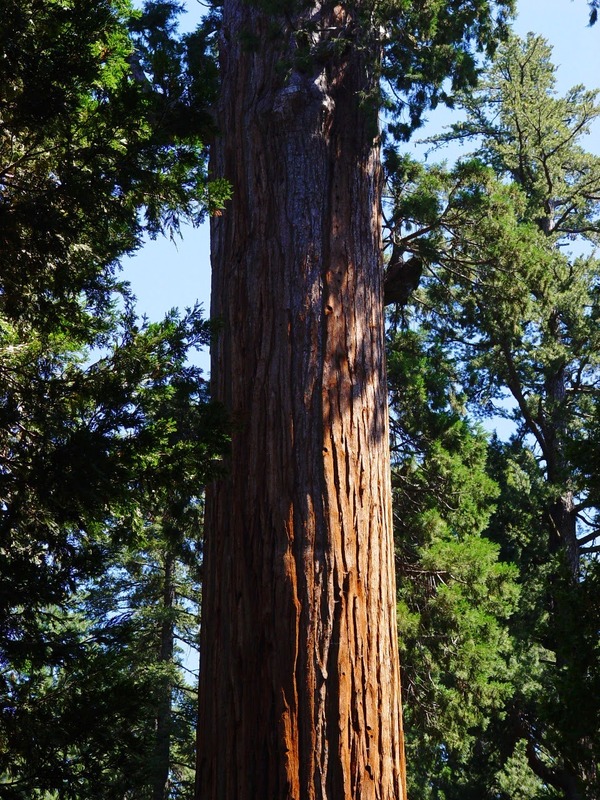 It's a huge park, covering 1.9 million acres, and as the name suggests, it is a slightly schizophrenic park, too. The eastern end of the park is very different from the western end. 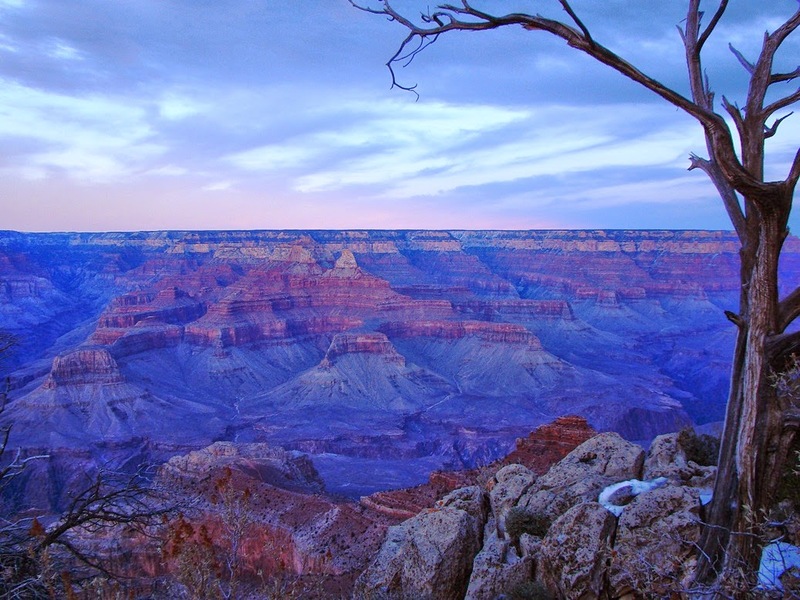 The Grand Staircase (western side) is a series of escarpments that reveal something like 270 million years of earth history, from the end of the Paleozoic era to the beginning of the Cenozoic. 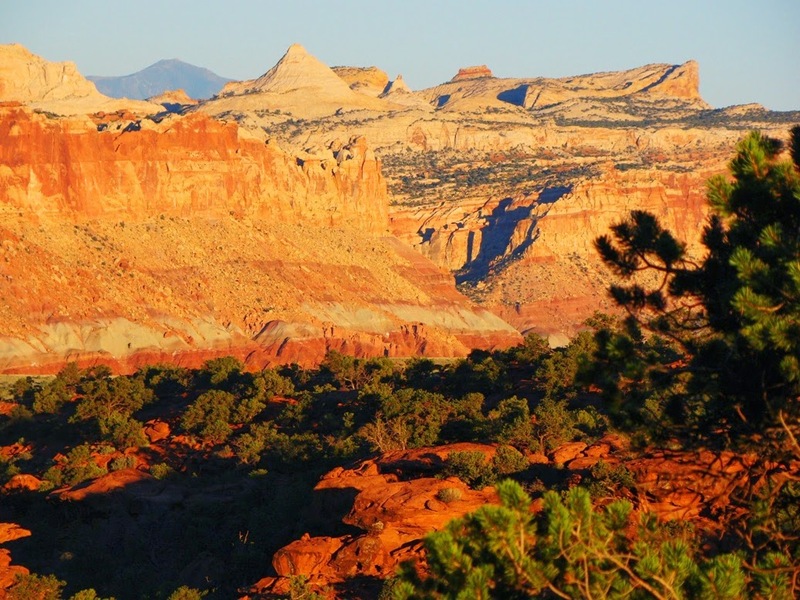 The Escalante portion of the park is mostly composed of just a few layers, primarily the Navajo Sandstone. The rock is well cemented, and forms prominent cliffs. 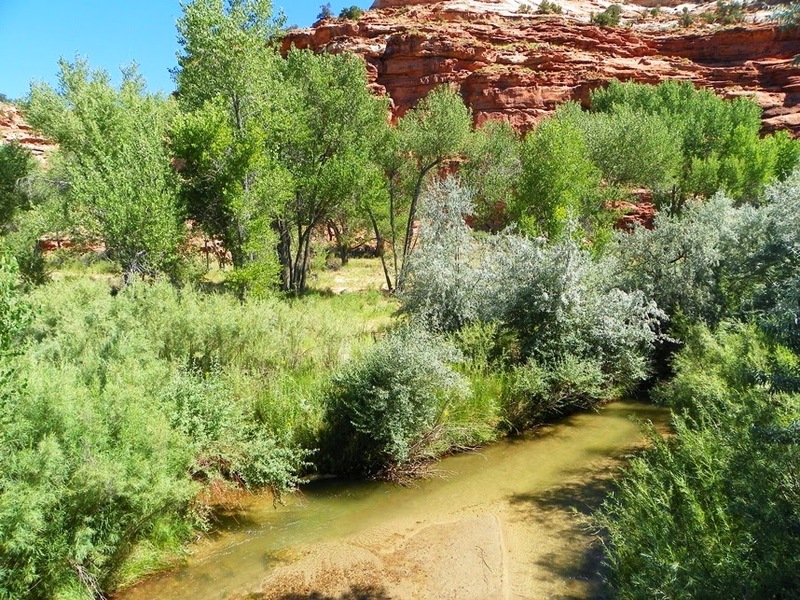 The Escalante River and her tributaries have carved an intricate maze of canyons and gullies leading down to the Colorado River and Lake Powell. 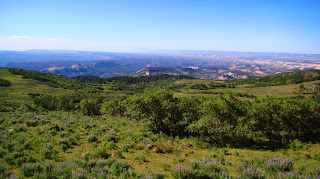 Some of the high benches and terraces have a combination of good soils and secure water sources, and have been occupied by various peoples over the last two thousand years or so. 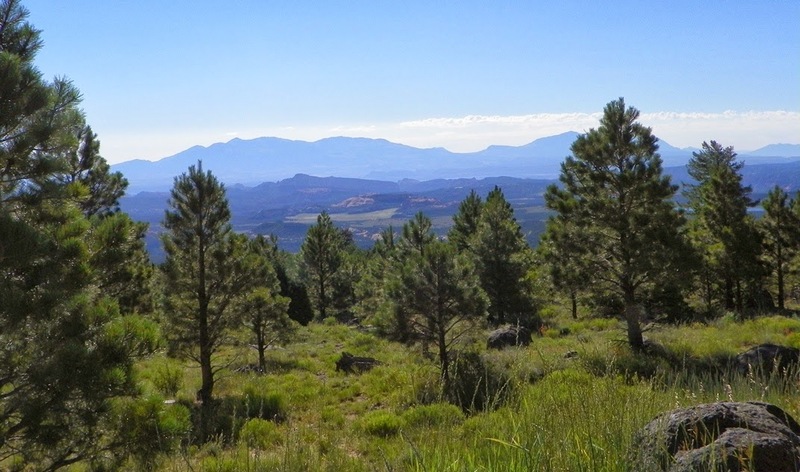 The most recent one, the little village of Boulder (founded in 1889), was so isolated that it was one of the last settlements in the country to receive mail by mule train (the particular road we were traveling was paved only in 1985). 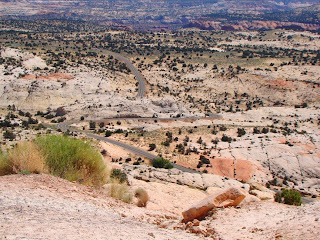 The town is built quite literally on top of the ruins of an Ancestral Pueblo village now preserved as Anasazi State Park. 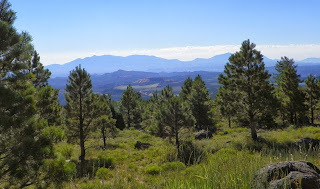 Beyond Boulder, Highway 12 crosses the Hogsback, a narrow ridge that drops off for hundreds of feet on both sides. There is barely enough room for the two-lane road. The advice on the sign is well considered! 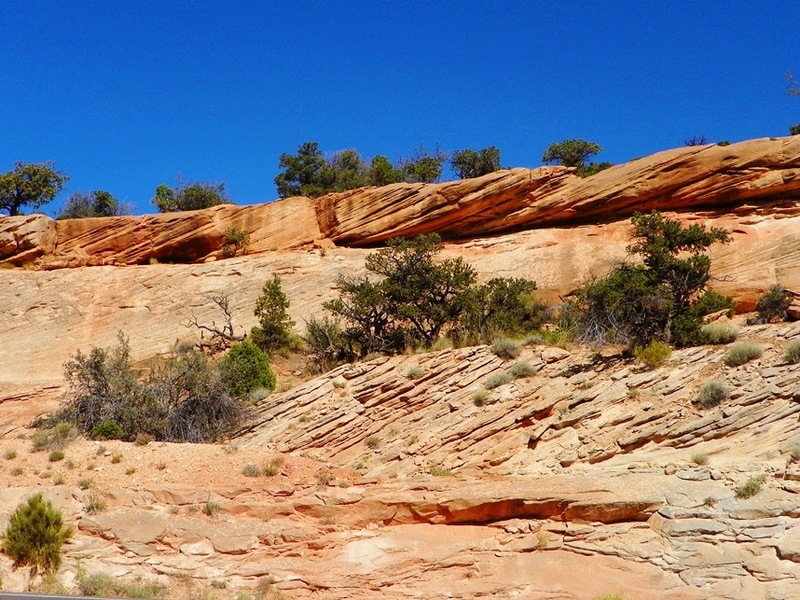 The crossbedded layers of the Navajo Sandstone speak of a vast sand sea during the Jurassic period. 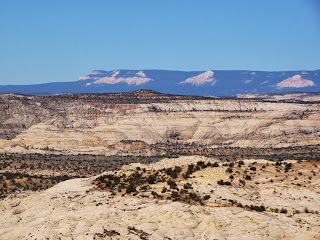 The layer is found all across the American West, and reaches thicknesses of 2,000 feet in some places (around 1,300 feet in the Escalante drainage). 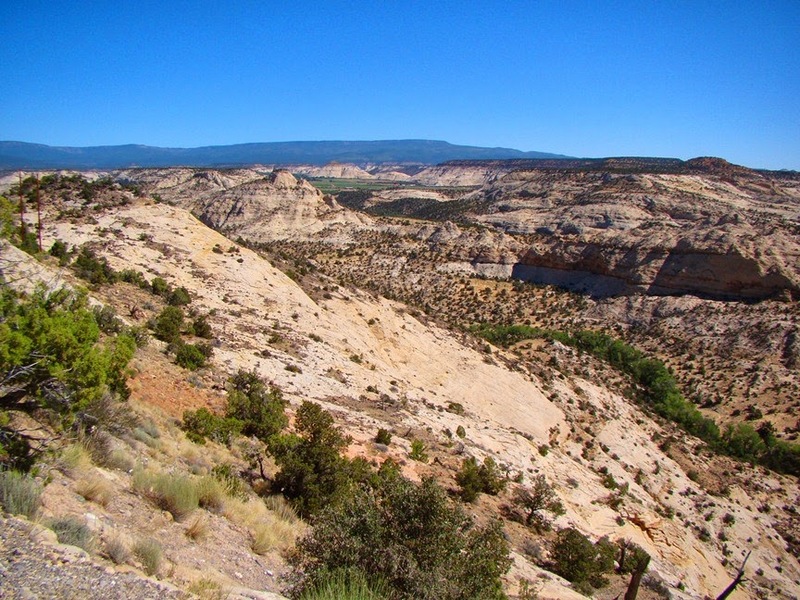 In the foreground, the deep canyon of Calf Creek is visible, while the Straight Cliffs loom in the far distance. 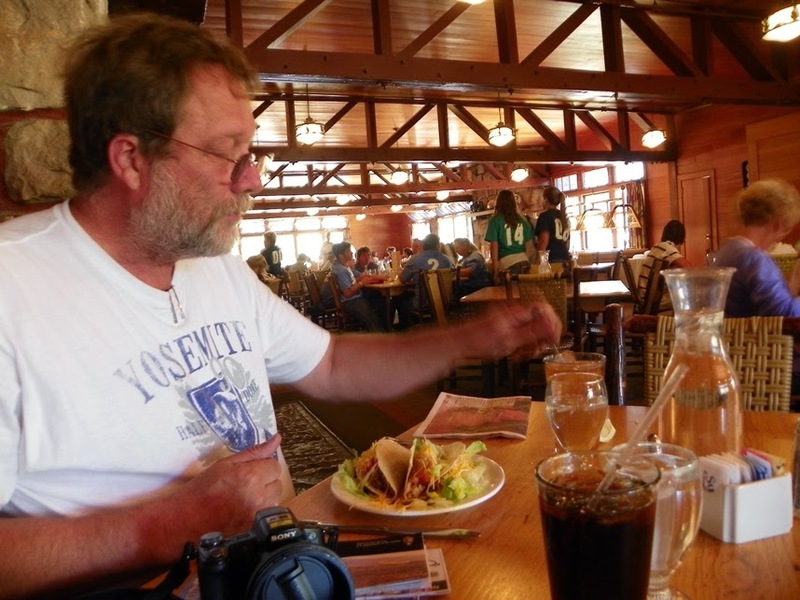 The plateau is some fifty miles long. It is composed of Cretaceous sediments that formed in a coastal environment with sandy beaches and vast estuaries where coal formed. 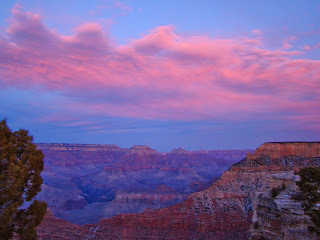 Higher up, the Pink Cliffs were visible. 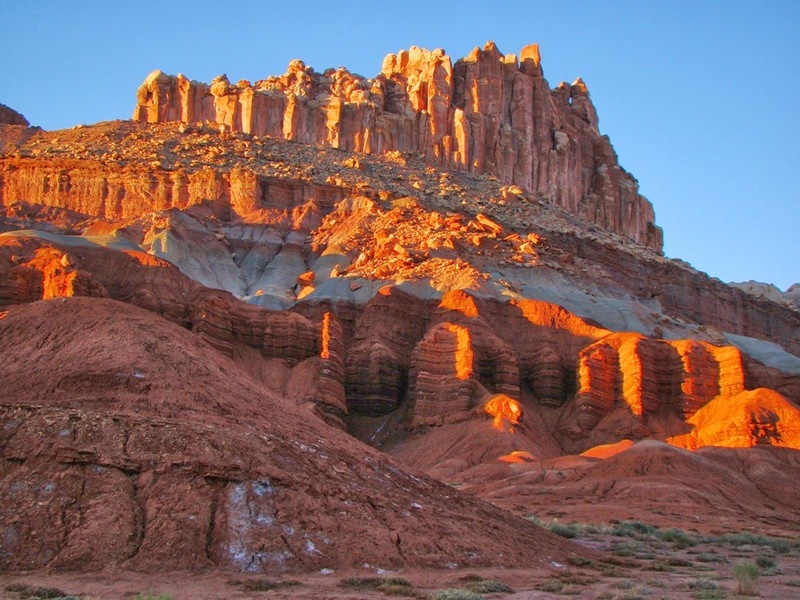 The Aquarius Plateau reaches 11,000 feet and contains the youngest of the sedimentary formations making up the stratigraphic column of the Colorado Plateau. The road descended rapidly into the Calf Creek drainage, and passed the small campground on the valley bottom. There are beautiful waterfalls hidden up these canyons. 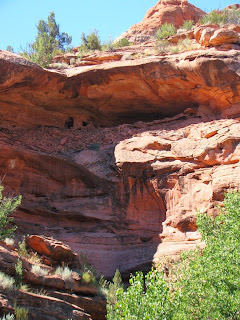 The Ancestral Pueblo people were here too...we spied a small granary in the cliffs as we reached the Escalante River. Oh, the Escalante River. 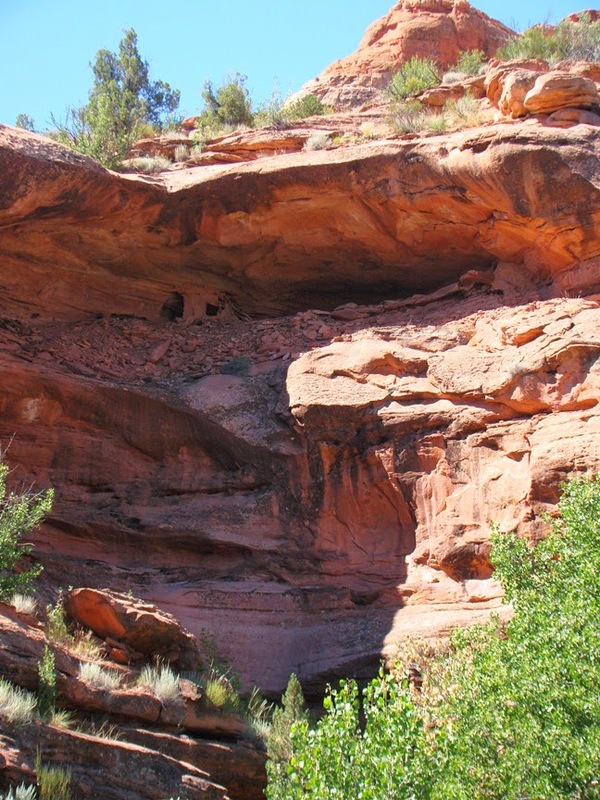 It must have been quite the river that carved these deep and intricate slot canyons! We crossed it...here it is. Of course, I've never seen the river flash-flooding, or in early spring during the snowmelt, or in an ice age. 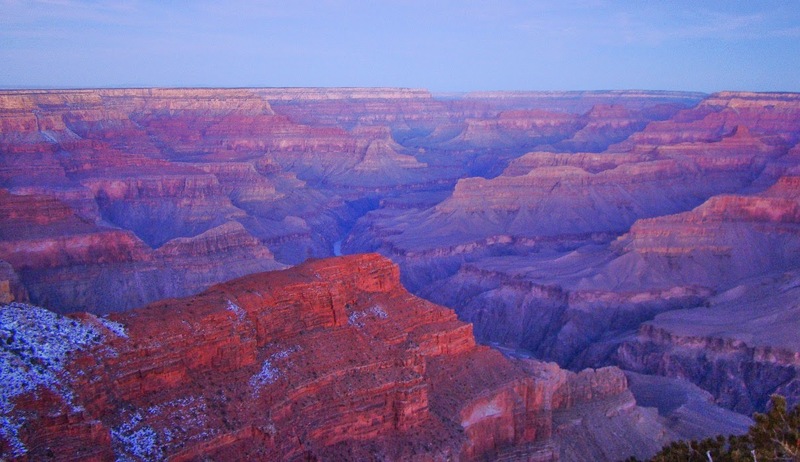 It is truly amazing how much sediment has been removed from this landscape since the Colorado River system was established. 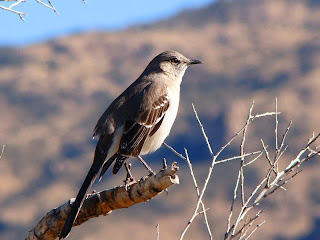 Thanks to Mrs. Geotripper for her many splendid photos in today's post. Postscript: Seems more than one geoblogger is thinking about Grand Staircase-Escalante in these bleak days of winter: check out this blogpost by Jack at Written in Stone. Ah, winter solstice! The longest nights, the shortest days, and although we don't get snow and hyperfreezing temperatures, there are mornings when I consider putting on a jacket before going for the newspaper. Yup, living in California can be tough. I admit, though, to really hating our tule fogs that occur this time of year. So what to do? Obviously, I need to go back and finish up my vagabonding series. We were exploring the geology of a swath of land between California and Colorado that happened to lie close to the 39th parallel last July. We were drifting along, not rushing, not planning more than a day or two in advance, and we were now on the homeward road. 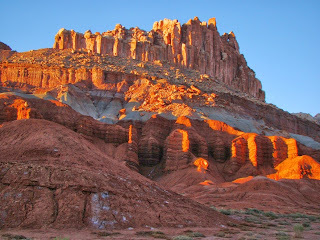 We had spent the morning and early afternoon exploring Arches National Park, and looking at petroglyphs, pictographs and dinosaur footprints, but now we had a bit of a distance to go, hoping to find a place to stay at Capitol Reef National Park. Capitol Reef? 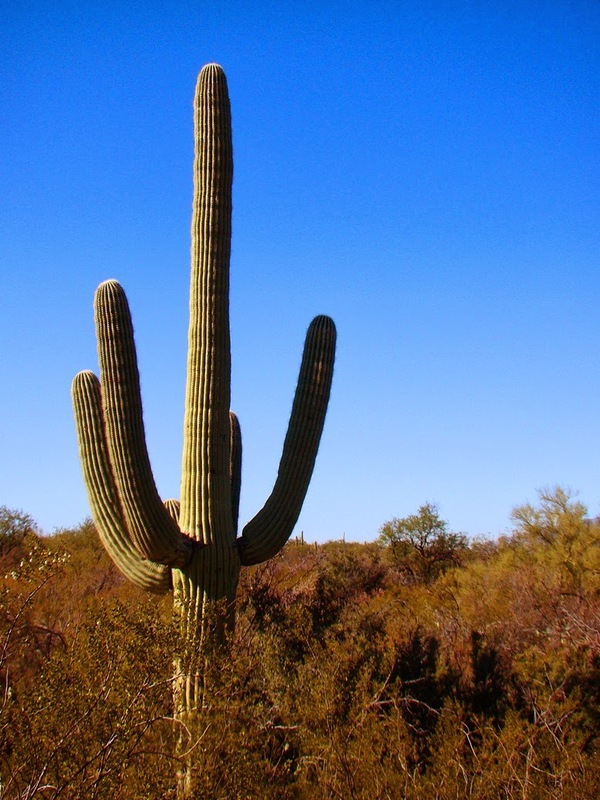 In the desert? Being a geological blog, one might think that 'reef' refers to an ancient coral reef preserved in a limestone layer somewhere, but that is not the case here. Settlers in the region referred to cliffs and ridges that were barriers to travel as reefs. That was certainly the case here: Capitol Reef National Park preserves much of the Waterpocket Fold, a monocline fold that runs for more than 100 miles in a north-south direction. The fold defies travel; few of the canyons that cut across the fold are wide enough for trails, much less highways. 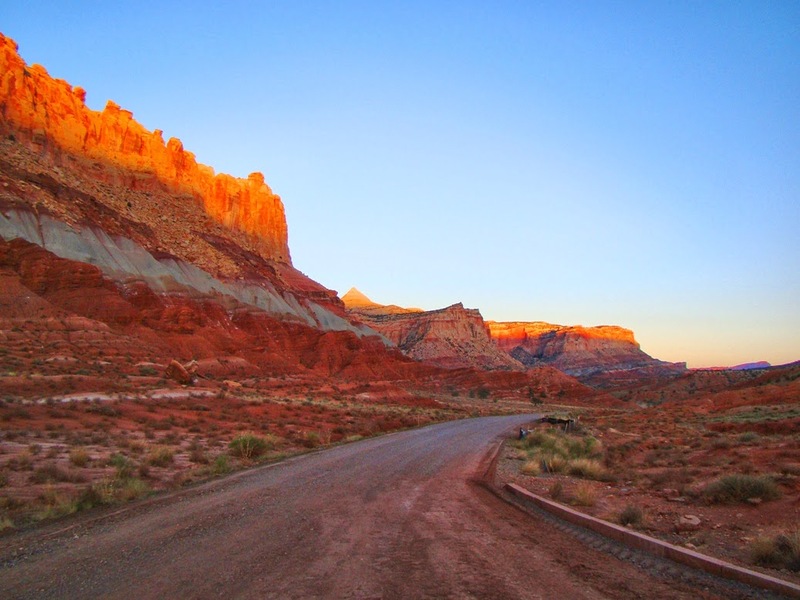 The first paved highway wasn't constructed until 1962. 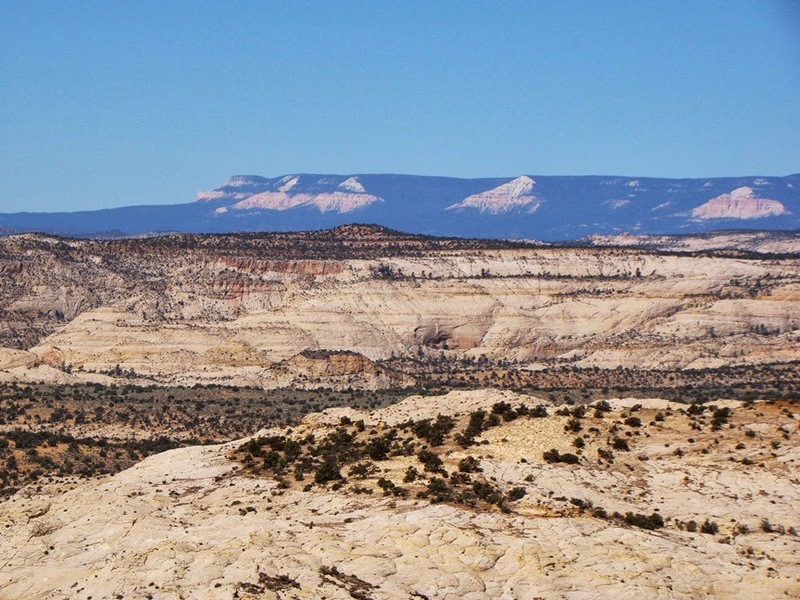 A monocline isn't like other folds. 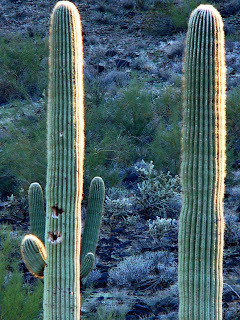 Anticlines are flexed upwards, while synclines are flexed downwards. Monoclines are neither; the sedimentary layers in a monocline can be thought of as a rug draped over a step. The layers are horizontal on both sides of the fold, but higher on one side. 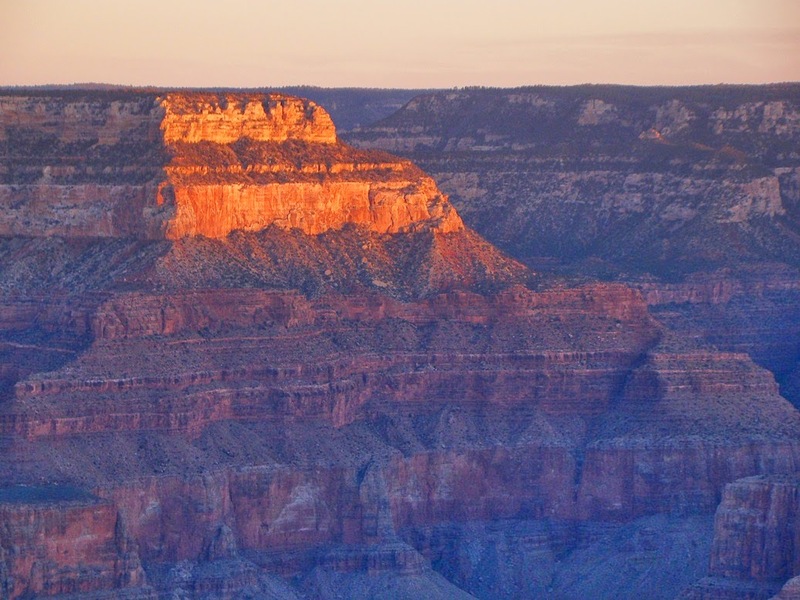 These features are most often caused when faults at great depth lift the overlying rocks, but without fracturing the softer sedimentary layers. 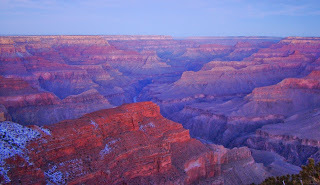 A number of monoclines cross the Colorado Plateau; one forms the eastern edge of the Grand Canyon. 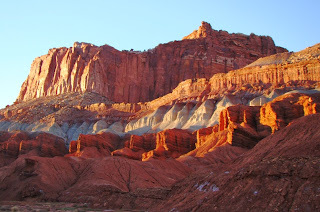 But few monoclines are as dramatic as the Waterpocket Fold at Capitol Reef. 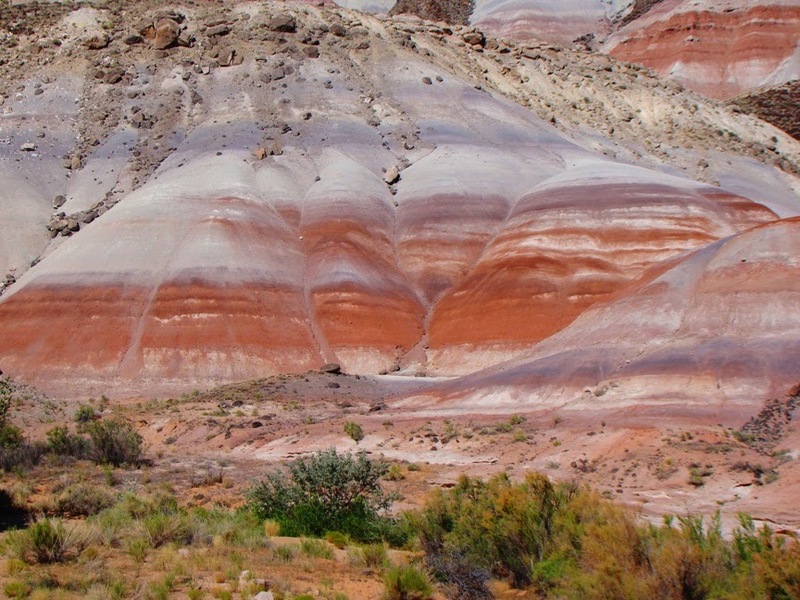 Erosion has cut deep into the fold, exposing thousands of feet of colorful sediments deposited during the Mesozoic era, the age of the dinosaurs. 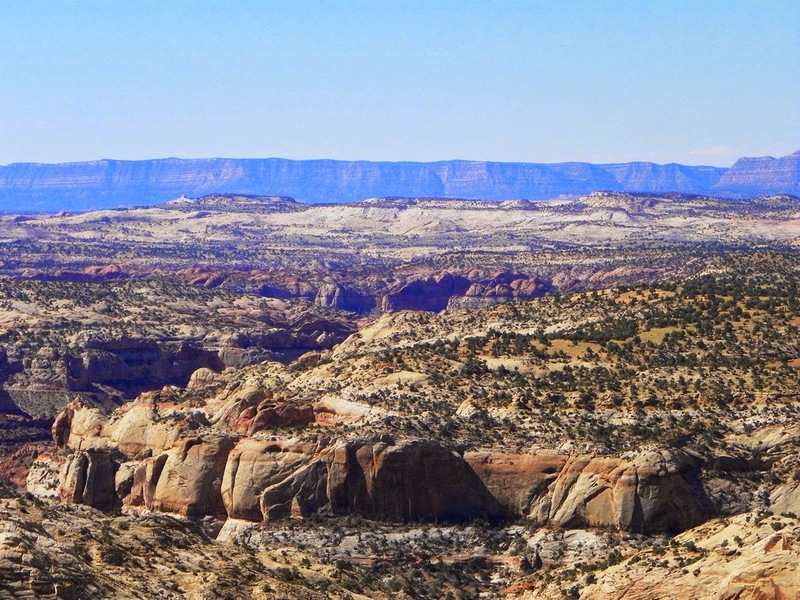 The layers tell a story of the giant supercontinent Pangea. In this part of the world, conditions changed from river floodplains to desert dune fields to rivers, to dunes again, and then the region was inundated by shallow seas several times. 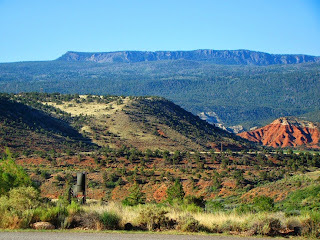 The story is readily discerned by carefully observing the rocks while exploring Highway 24 running east-west across the park. On the west side, the cliff-forming Wingate Sandstone protects the underlying soft layers from erosion, forming a tall escarpment that is nicely situated to capture the rays of the setting sun. We arrived very late in the afternoon, just in time to see the setting sun lighting the cliffs. The roads were empty as people were settling in for the night. We weren't quite ready to turn in, so we headed south on the park's Scenic Road. I had told Mrs. Geotripper that the road was nicely paved, but when we arrived, we found that all the asphalt was torn out for construction. It was a bit bumpy and dusty, but I realized we were kind of reliving what it was like to explore the region half a century ago. Capitol Gorge was the route of the old "highway" through the reef. In the narrows there is barely room for a car to squeeze through, and the watercourse was always subject to flooding and closure. 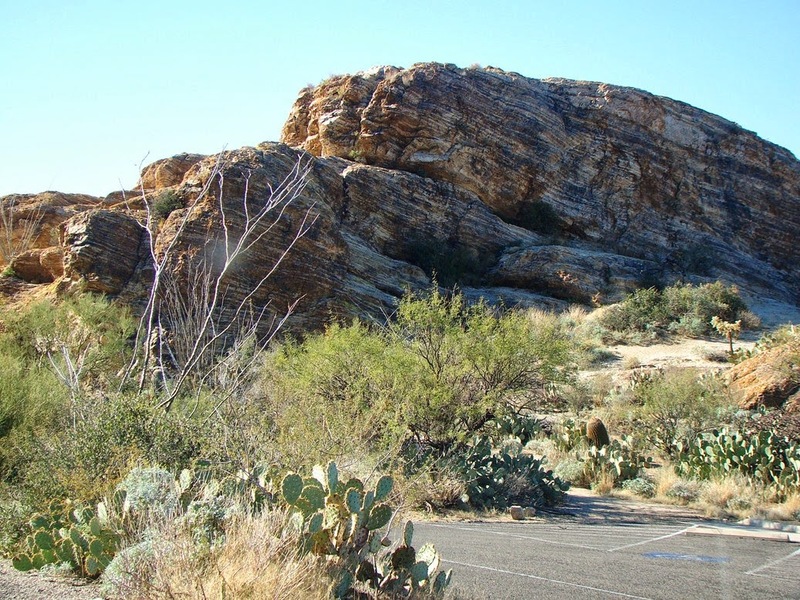 In the daytime, one can walk through the gorge and see Fremont petroglyphs and pictographs, as well as more recent inscriptions from travelers in the late 1800s and early 1900s. 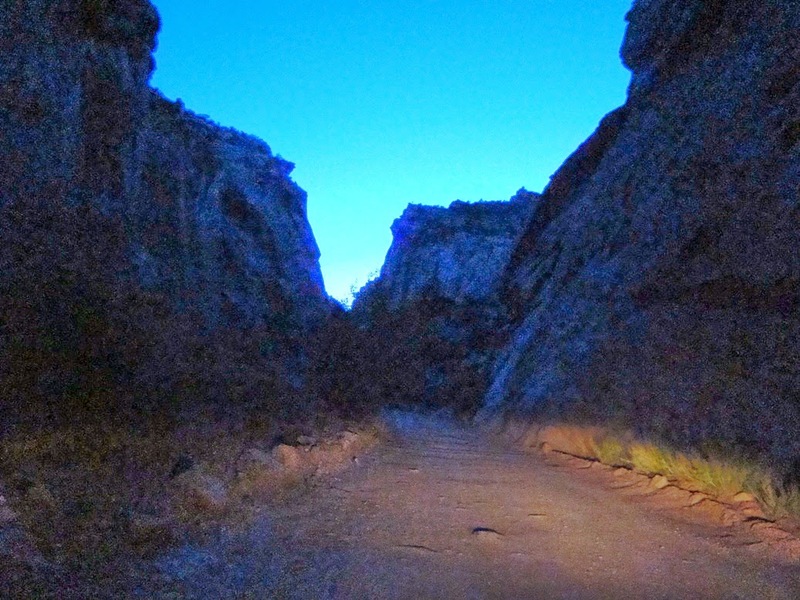 This evening, it was dark and lonely and I found myself imagining what it was like to travel this road decades ago, or centuries ago. Even today the population of the region is only a few thousand people scattered over thousands of square miles. A mistake, an accident, a flood, and one could be in real trouble. 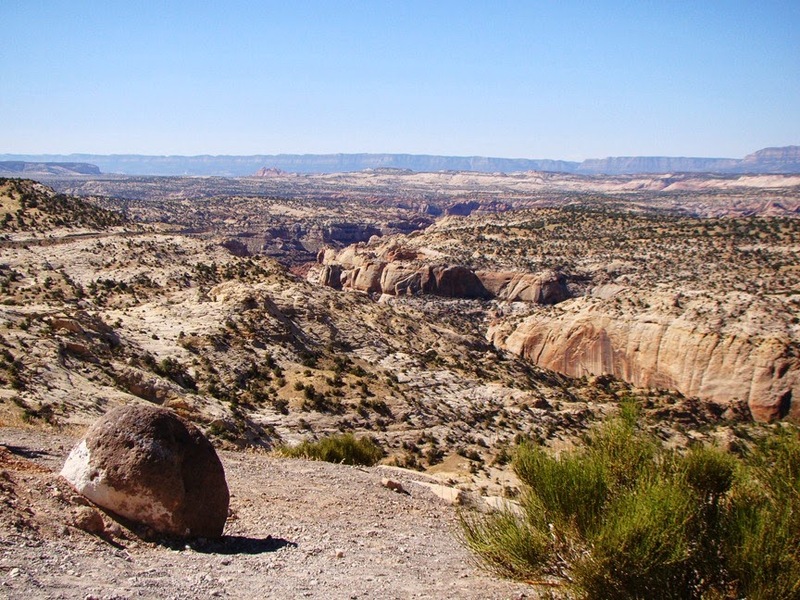 It is a harsh land, and it was a hard life for those who lived here: the Fremont and other Native Americans, the Mormon pioneers who settled nearby in Fruita, and those who make a life there now. 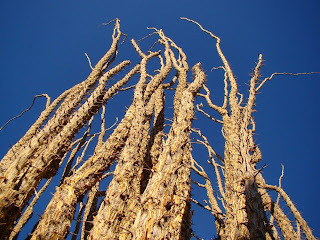 Geo-Picture-a-Day Week: Hoodoo you do?